Need a multilingual website but have heard horror stories about costs escalating and delivery times exceeding deadlines? It can happen when a website translation project is not planned and managed effectively. Even when it is, there can be opportunities to reduce website translation costs by simplifying the project right from the start. Here we share our top tips for saving money and making website translations easier. If you’re reading this blog post the chances are that you already have plans for a multilingual website. Perhaps your business or organisation is looking to expand overseas for the first time and your existing website needs translating into one other language. At this point it is a good idea to consider future plans. Will you stop at one global market, or could further expansion be in the pipeline? If the latter, you can start saving money on future website translation projects straightaway. Ask yourself, “is your current website content management system (CMS) optimised for global expansion?” Does it have multilingual capacity, and can it be integrated with a translation provider’s translation management system (TMS)? Website translation is more than just translating text. It’s also about ensuring that all applications can be localised such as checkout and payment pages; user logins and accounts; as well as optimising the user experience when visitors navigate around the website. If the answer is no, consider putting the right foundations in place now by migrating your existing site to a platform that support global business websites. 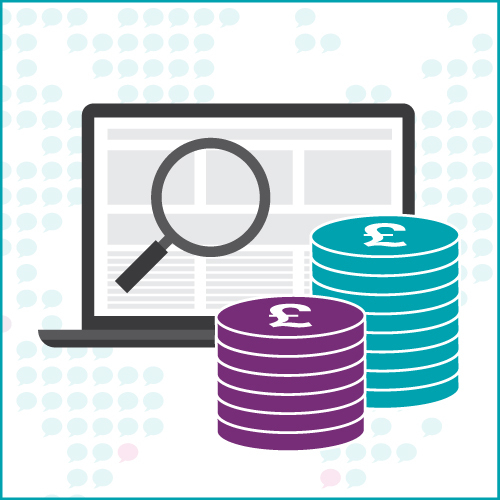 Cost saving – up front costs will be more initially, but long term website translation and localisation projects will result in fewer steps and friction points, reducing costs. A multilingual webpage template reduces the amount of content that requires translation and localisation significantly. Instead of translating and localising every detail of every page, each template only requires localisation once, allowing your translation team to focus on translating unique content. Planning for globalisation involves making decisions about webpage templates now and understanding how different languages may affect the appearance of your site. Text expansion, right-to-left text, and character sets (such as Arabic) can all impact on the design of webpage templates. Cost saving – save money on design and development by only designing these elements once. Save money on localisation by reducing the amount of content that requires translation. The time it takes to translate your website source text will depend on the volume and language characteristics such as jargon, slang, use of idioms and puns, abbreviations and culturally-specific terms. Save time and money by ensuring any copywriting in the source text is executed with a global audience in mind, simplifying the language and avoiding those characteristics that do not translate easily into other languages. Cost saving – reduces translation time and therefore costs. Graphics and images that include text require special treatment. The graphic will need to be extracted, redesigned with text in the target language, and then reimported. This will require the services of an artworker and increase the cost of the overall localisation project. Best practice for multilingual websites is to overlay the graphic with text in the HTML, this way the graphic can remain the same and only the text needs localisation. Cost saving – no need to redesign graphics and images, resulting in lower costs. Saving money should not mean compromising on quality, your global websites should reflect your brand accurately and translations should be of the highest possible quality. Therefore a style guide and glossary of terminology, including industry and company specific terms and the approved translation of key phrases such as straplines and slogans, will ensure your translation team have the right tools to deliver a high quality and consistent translation. This knowledge bank can be created in-house with your in market colleagues, or developed with the support of a translation service provider. Cost saving – reduce the number of revisions required and time taken to ensure the consistency of translations and the integrity of your brand. Fewer revisions equates to lower costs. Translation Memory software creates a unique database of terminology and text strings (phrases that are used regularly across your content). This database grows as text is translated and is then used to reduce the volume of text that requires translating; by identifying terms and text strings in the source text and replacing them with the agreed translation. For example, a linguist will translate content from your first webpage using the glossary of terminology, style guide etc. ; this is reviewed and approved, and entered into the Translation Memory. With the next webpage the text is uploaded to the Translation Memory and the software cross references against the agreed translations and replaces any terms and text strings accordingly. This webpage is then fully translated and again entered into the Translation Memory, building up the database of agreed translations. Cost saving – reduces the volume of text that requires human translation, therefore saving money. If your website contains large volumes of text, such as whitepapers for downloading, articles and blog posts, technical documents etc., that might otherwise not be prioritised for translation, Machine Translation (MT) tools could provide a solution. Best practice is to use MT when the source text is high quality, globalised content (see point 3), and with the assistance of a human translator for post-editing. It can also be used as a first pass to reduce the size of a translation project, with linguists then refining the translation according to your style guides and agreed terminology. Cost saving – reduces the volume of text that requires human translation. As a final point, another effective way to save money is to centralise multilingual translation projects and use one translation service provider. You can save money by streamlining workflows, project management, TMS integration and having all relevant company, industry and market knowledge in one place. It reduces the amount of resource needed to manage multiple projects and results in higher quality translations and fewer revisions – which also saves money. For more information on website translation and localisation, download our free translation guide here.